Having fled to Europe years ago, Lily Wolfe vowed to leave Atlanta and her reputed crime-family roots behind. But when her father suffered a stroke, she found herself back in the family fold, caring for him and a real estate empire built on deception. Her goal was to rebuild their relationship yet keep her distance from "the organization." Then Garrick Pratt showed up on her doorstep. One smoldering look from her mysterious, seductive neighbor and Lily forgot about guarding against her family legacy…and the consequences of her father's tangled web of corruption. Little does she know, Garrick is an undercover FBI agent intent on bringing the entire Wolfe family to its knees--including Lily. Chicago PR writer Skye Crawford has just lost her job and is looking for her next adventure when her ex-fiance delivers an offer she can't refuse; a top slot on his congressional campaign. But before Skye sets foot on Capitol Hill, the race is over. Her candidate is found dead from an apparent suicide. Skye senses foul play, and her instincts lead her to suspect Republican rival Darren Birch. The fact that the tall, politically conservative bachelor has taken an interest in her makes getting close to him that much easier. Although Skye comes to believe he's not involved, she doesn't want to walk away. Darren may not be the murderer, but he seems to know more than he's willing to admit. 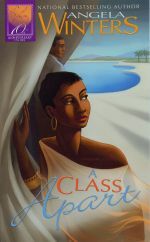 Sepia Davis is a bestselling novelist from one of the wealthiest families in the old black money high society town of Cromwell. Ending an engagement to a social climber has her questioning all the society traditions she held dear. Paul Leyden is a police officer in Crawford, Cromwell's working class neighbor. His wife left him for a life in Cromwell and he has a chip on his shoulder for anyone from that town. When research for her new novel requires Sepia ride along with Paul, the sparks fly immediately in the all the wrong directions. 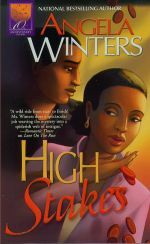 Despite their differences, they are brought together when Sepia becomes the only witness to a murder by a killer targeting the most prominent black leaders in Cromwell. The investigation brings out dirty secrets of the bluest black bloods and leads Sepia and Paul into each other's arms. Executive Sabrina Scott has always trusted her instincts. They helped her land a dream marketing job at the hottest casino in Las Vegas and start a new life minus sportswriter Clark Hunter, the cheating fiance she had thought she could trust. As luck would have it, Clark is now in town claiming that a major fight at the casino is the cover for a huge scam. And he's just as determined to show Sabrina he was never unfaithful as she is to disprove his suspicions. But when their investigation puts them up against a lethal conspiracy, their only hope of survival is to gamble on the trust they once shared - and a love they can't deny. 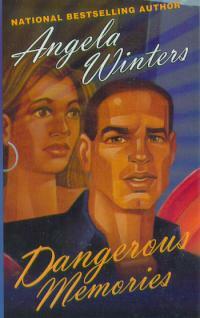 Dangerous Memories is set in steamy Miami, where a woman temporarily named Jena Doe wakes up in a hospital bed with amnesia. Emma Leyden, a wealthy and generous widow takes her in and offers her motherly love. But Jena continues to have nightmares of murder and she isn't sure who she is, what she's done or who is after her, but she's certain someone is. To make matters worse, Lucas Leyden, Emma's son is certain that Jena is up to something and decides to have her investigated. The truth turns out to be worse than either could have imagined. Can their growing attraction to each other lead to true love or something entirely different? 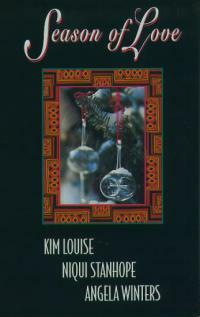 Coming Home is a novella in the holiday anthology of SEASON OF LOVE. 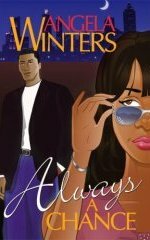 Set in Chicago, cynical executives, Nia Randolph and Michael Vincent no longer believe in love. They are both coming home for the holidays to convince their recently engaged siblings that they are making a huge mistake. But it isn't long before an unexpected attraction has them discovering the season's most passionate magic. 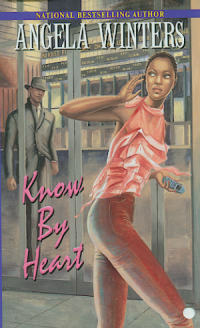 Know By Heart, set in the Silicon Valley, places a free spirited journalist escaping an ex-lover with a powerful software executive with eyes on the CEO seat in a plot to destroy the competition over the next software product that will change the industry and make millionaires into billionaires. But when those involved start dying, they aren’t even sure they can trust each other, despite the fact that they are falling fast and furiously in love. The Business of Love, set in DC, makes business partners of a hotel chain heir trying to maintain her father’s vision and an investor relations expert who can only see $$$$. Taking the chain public, they are polar opposites and can’t understand their powerful attraction. When a murder threatens their future, they have to work together to find the truth, even if the truth is worse than a lie. Sudden Love, set in Chicago, has an author with family problems of her own, clashing heads with a wealthy philanthropist over the death of her younger sister’s friend. She only wants to find the truth, but finds herself falling in love with him. Even though he’s the prime suspect. Island Promise has a Dallas schoolteacher too curious for her own good, and an investment banker in search of his missing sister and niece, running from the local mob and the IRS on the beautiful Cayman Islands. Sweet Surrender was my first real romantic suspense between a public relations professional in a family crisis and an up and coming Chicago politician with a reputation as a ladies man. This novel brings a new twist to the marriage of convenience story, with death threats and dirty Chicago politics adding the suspense. Mama Dear is an anthology with three stories. Angela's story, Never Say Never, is about a Chicago area artist and widow finding love again with her son’s new pediatrician. Only You, a romance between a writer with some serious issues about men and an architect with a family secret is set in Aspen, Colorado. Sparks fly the moment they meet, but they can’t seem to spend five minutes alone without getting at each other’s throats. How will they survive the summer living in the same house?